A small historic estate nestling among vineyards of rare beauty located on the panoramic road leading from Gavi to Novi Ligure. Thirty hectares of vineyards blessed by a unique terroir entirely given over to the cultivation of the cortese grapes used to produce Gavi, the great white wine of Piedmont. We are at La Battistina, the luminous pearl of a terroir dedicated to wine-making. 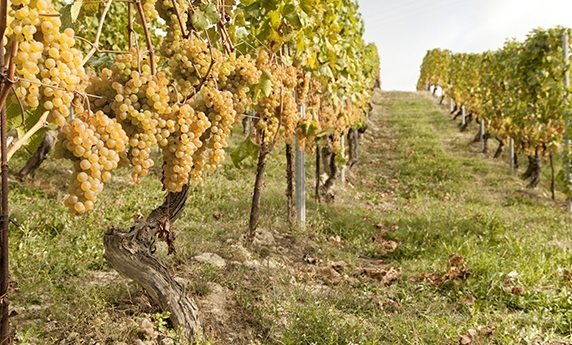 La Battistina has always been one of the most renowned winegrowing firms of the Gavi area. Located between Gavi and Novi Ligure, where it stands on a hilly crest of exceptional beauty, in 2002 it was acquired by the Gruppo Araldica, which then began to renovate the cellar of the firm’s viticultural heritage with the aim of transforming La Battistina into an estate for the production of prestigious Gavi DOCG wine. Following the acquisition, the vineyards were rationalized and partly planted to vine while, contemporarily, a zoning procedure was implemented to identify the parcels of greater prestige and production quality. La Battistina is equipped with a new phyto-purification system for disposing of the cellar wastewater. La Battistina farms 26 hectares of vineyards consisting of a single plot well exposed to the south. Old vines whose average age is 30-35 years and soils with a particular combination of marly clays, which have no match in this region. Between Novi Ligure and Gavi, the dips in the land caused by small streams of the Lemme brook have created a somewhat variable microclimate with different degrees of ventilation and consequent temperature variations. The small valley of which La Battistina occupies the south-facing slope constitutes an isolated “bubble” of well drained calcareous land, which has always been considered one of the best in the entire Gavi terroir. The favourable position, the microclimate of the valley, together with the venerable age of the vines, give Gavi wine an exceptional complexity, structure and elegance with delicate fruity scents. La Battistina can be subdivided into two distinct areas producing wines that are quite different. Most of the grapes are used to produce Gavi La Battistina, a wine regaling fragrances of citrus fruits, tropical fruits and a freshness which counterbalances a lingering finale. 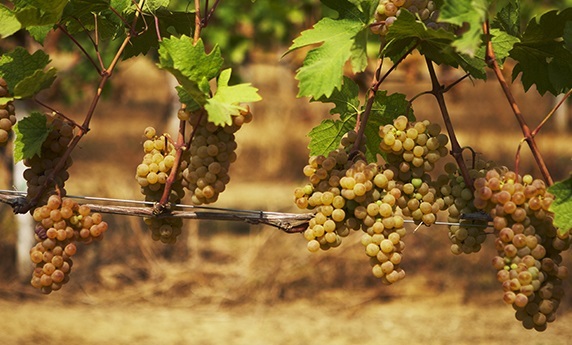 The Gavi Bricco Battistina cru is made exclusively from grapes grown in the higher areas. The grapes are harvested and fermented separately and, subsequently, a part of the wine produced is aged in oak barriques to enhance its structure and the complexity deriving from hints of ripe fruit and mineral sensations. Wines from La Battistina, whose grapes are harvested and fermented in the cellars of the estate, have obtained SQNPI certification – the acronym stands for Sistema di Qualità Nazionale di Produzione Integrata (meaning National Quality System of Integrated Production). 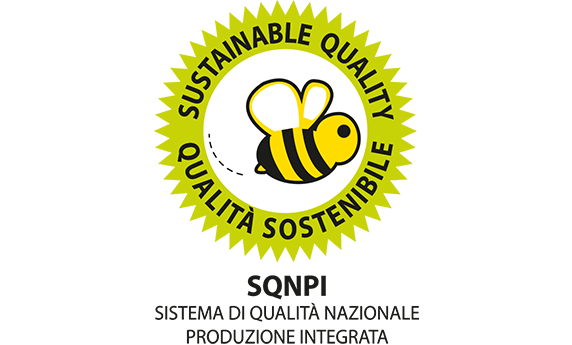 The bee symbol appearing on the label guarantees that each phase of wine production has complied with the strict standards of integrated production, making it sustainable and eco-compatible, as certified by a third party independent entity. 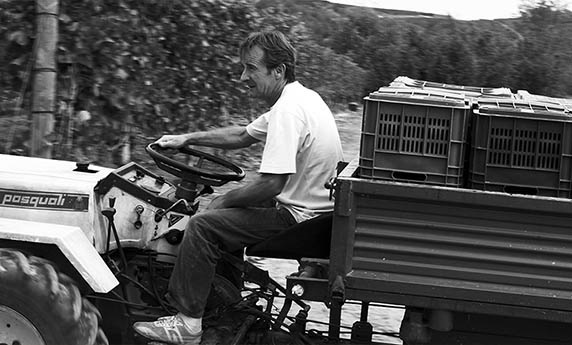 All phases of wine production are carried out on the estate of La Battistina. From the arrival of the hand-picked cortese grapes in the cellar, to their soft crushing, fermentation and storage at a controlled temperature. 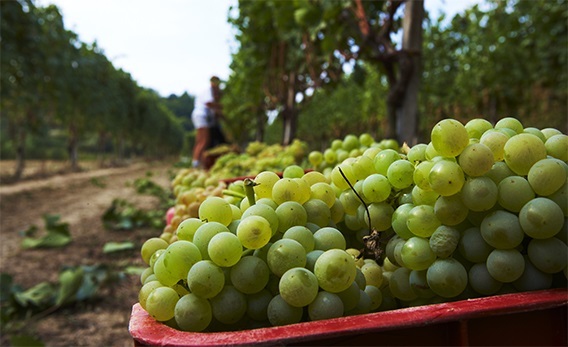 The cortese grapes, in which la Battistina is specialized, are strictly hand-picked and are transferred to the cellar as soon as they are harvested. They are cooled to a temperature of 5°C and then gently crushed. It is necessary to keep grapes and must cool in order to preserve their aromatic substances intact and obtain a wine rich in primary aromas – that is to say, those expressed by the varietal itself – which are more intense and pronounced with brighter tones. After a rapid flotation with nitrogen, the grape must is then fermented at a controlled temperature for 25/30 days. At the end of its alcoholic fermentation, the Gavi is cooled and stored at 5°C for lees contact - from 4 to 6 months – before being bottled.